Protecting Young People from Learning? 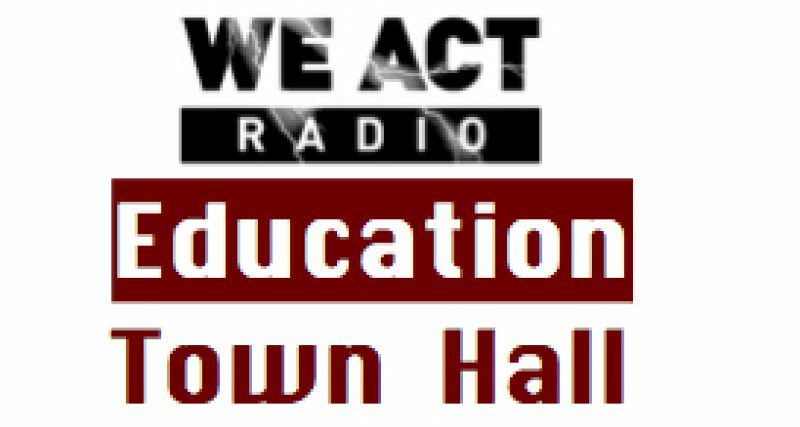 The Education Town Hall has been on a brief broadcast hiatus due, in part, to last week’s Jewish holiday of Shavuot (June 3-5, 2014). This holiday celebrates Revelation, and that theme was on my mind as I read a report just released by the American Library Association about the Children’s Internet Protection Act, its implementation and affect on learning over the past 10 years. Some years back, I recall a colleague mentioning that she’d run afoul of her school’s filtering system when she tried to share some literary background on the Hebrew bible. In Hebrew, the bible’s first book is called “בראשית” — usually translated as “In the Beginning” and often transliterated in a way that includes four letters commonly blocked by filtering programs (B’reishit) – so her material on Genesis was rejected. No doubt, this particular filter issue has been long since fixed, but it is just one tiny example of all-too-common unintended filtering consequences. Much more seriously in the long run, my children and their classmates at DC Public Schools – young people who graduated high school over the last four or five years – frequently noted that they were unable to reach many news sites at school. My children and their friends would use the internet at our house to do solid research, but not everyone had that option. This situation is resulting in two classes of students, according to the ALA: “an advantaged class with unfiltered internet access at home and a disadvantaged class with only filtered access at school” and in public libraries. Over-blocking content to manage classrooms, limit exposure to complex and challenging websites, or curtail the use of interactive platforms has numerous unintended consequences for students. Restricting access creates both an educational and a social problem, as educators cannot help students navigate ethical choices about online interactions. Instead of protecting children, over-filtering creates barriers to learning and education and limits the acquisition of digital literacy skills, which are vital not only for college and career readiness but also for full participation in today’s society. 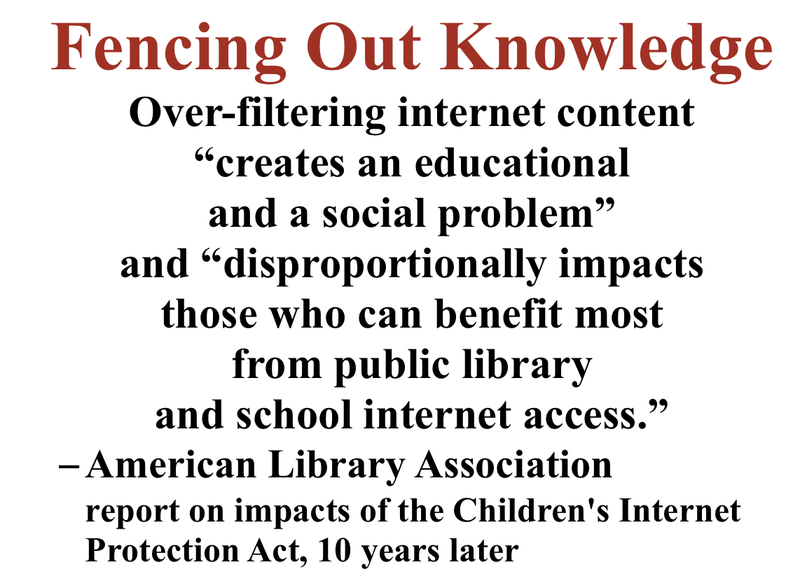 Explore the ALA’s findings and recommendations, Fencing Out Knowledge. Look into what is, and is not, available to students and teachers in your local schools and libraries. Join the nation’s librarians in advocating for equitable access to resources and for digital literacy that helps all students learn to filter material with their own brains and good sense. Stay tuned to the Education Town Hall for more on this crucial topic. Previous Post: Orr Elementary: DCPS Discouraging Parent Engagement?